Part of the inside of G-Mall. I don't think I have any photos of malls in Winnipeg. When you grow up there you totally take stuff like that for granted. I have a bazillion photos of flowers and trees and squirrels and geese but no malls. Sorry folks. But I'll make up for that with an inundation of photos of malls here in Davao. 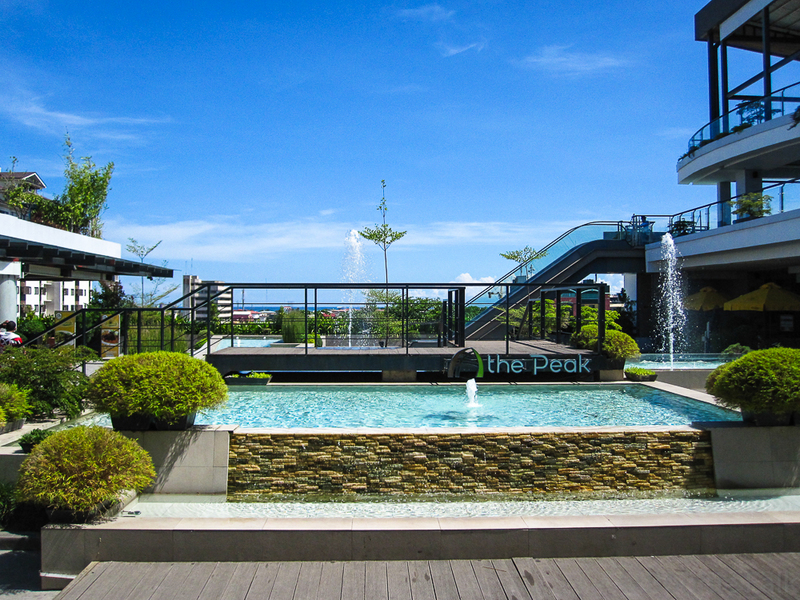 "The Peak" - newly redesigned rooftop terrace on G-Mall with three levels of dining options and a view of the Gulf and surrounding mountains. Ok, Winnipeg... We went to two major malls most often. (And not really that often.) St. Vital Centre and Polo Park. They were nice. Let's see, there is also Grant Park, Kildonan Place, Portage Place, Garden City... Did I miss any? That's all I can think of. For the most part, Winnipeg malls are small to medium size for North America, mostly one level (except the two PPs) and each have a major anchor tenant in the form of a national department store. The Bay, Sears... uh, no more Eaton's so I guess that's it. And a food court is pretty standard. Nothing all that crazy interesting. 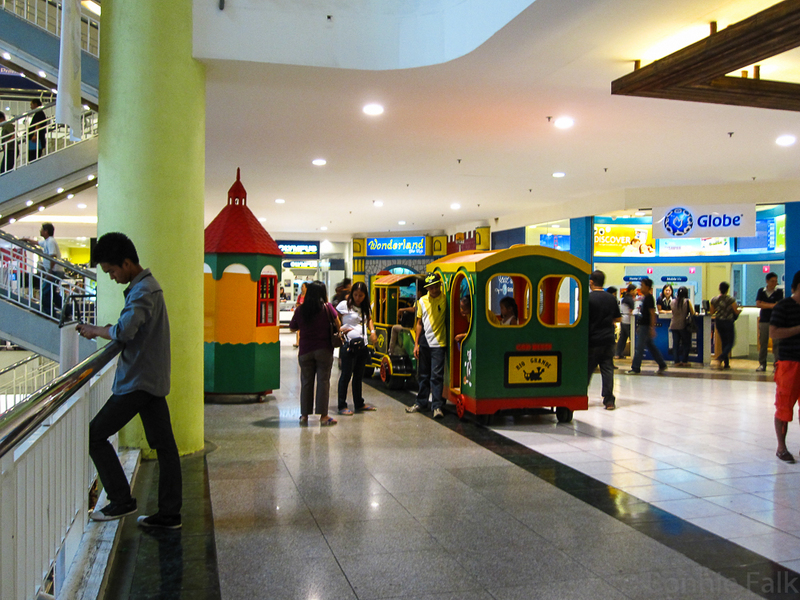 A lot of the newer malls have trains for kids that actually drive around. Davao is different. For one, they are pretty much all branded to the corporation that owns them. For instance, SM Lanang has an SM department store, an SM grocery store and an SM movie theatre. 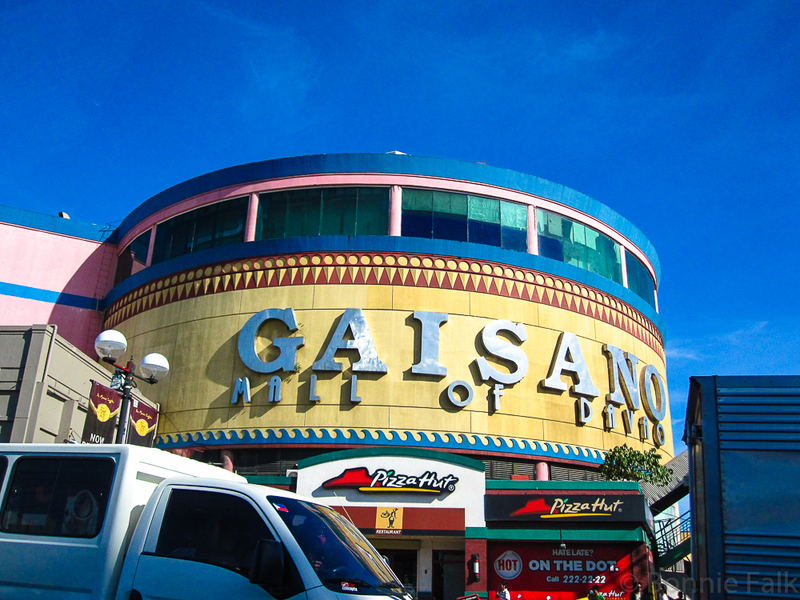 Gaisano and NCCC do the same thing. Ayala is slightly different in that they have unique names for their malls but also tend to develop land around their malls into business parks and condos. 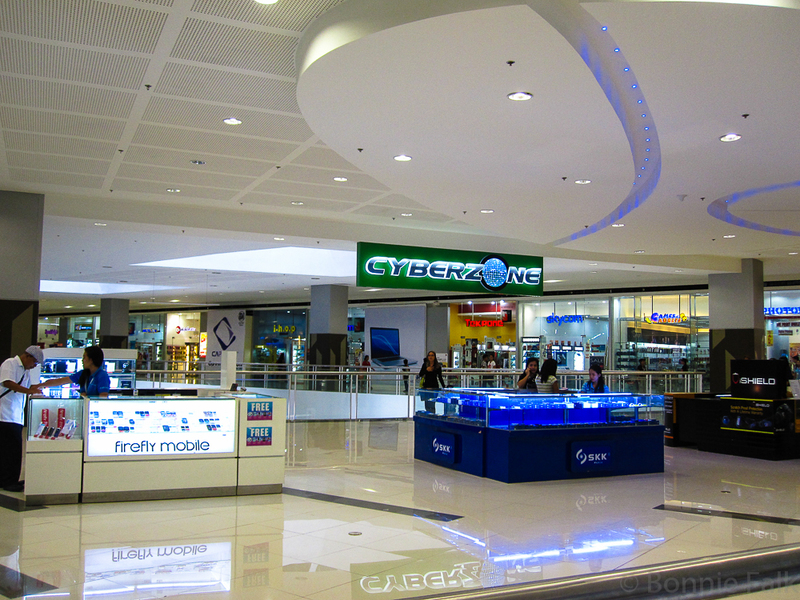 Most malls will also have a section marked "Cyberzone" where most of the tech shops are. In Winnipeg you might say that St. Vital is a slightly nicer mall than Kildonan Place, but there really isn't a huge difference. 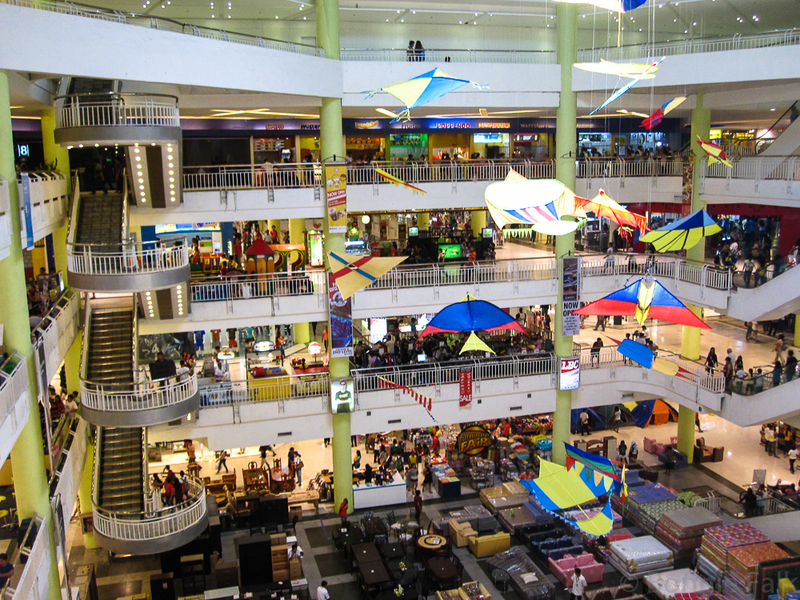 In Davao, you have "malls" that are not much more than a grocery store with four or five levels of a grungy department store above them to places that are swankier than most European malls! Inside SM Lanang, the newest mall in town. It opened the same weekend we landed. 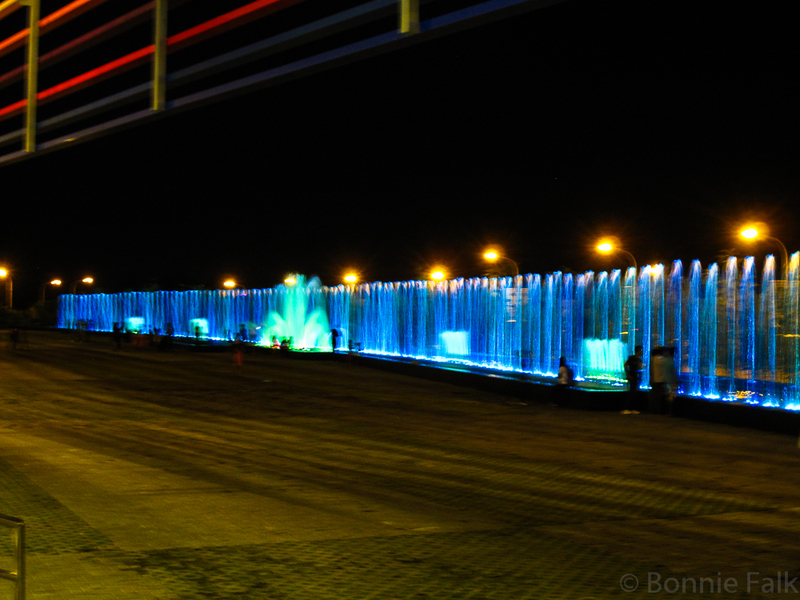 The dancing fountain out back of SM Lanang. 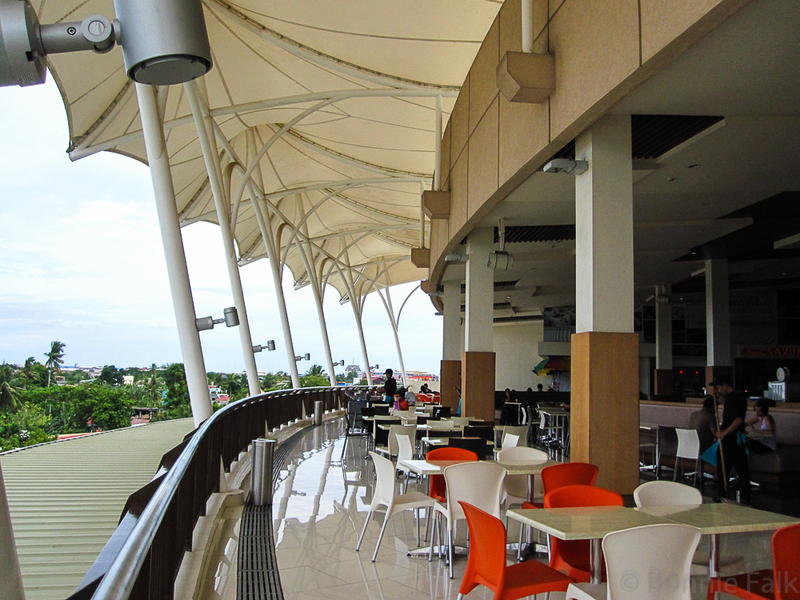 Part of the semi-outdoor food court at Abreeza. The front of Abreeza: our happy place. Didn't realize that malls are only a big deal in Asia! Haha. What a huge cultural divide. Of course there are malls all over the place, but they are a much bigger deal in Asia for sure! Fancy! I love those red chairs. When I lived in BC, there was a mall in Richmond done to suit its residents who had come from places like Hong Kong and.. well all over Asia, anyway, it was very similar. I loved that place. It was fun to go and sit and be in awe! That would be fun! And I totally know a lady from Hong Kong who lives in Richmond now. Cool! If I had those malls around, I'd love malls too! Those are the most spectacular I've ever seen! Yeah, we love to go to Abreeza when we want to feel a bit more "Western". But it is WAY nicer than any mall back in Winnipeg! I love malls ... something about being there, and I don't even have to shop. Getting a coffee, sitting and being surounded by all that energy is good ... for a little while anyway. Your picture of G-Mall looks a lot like the Mall of America. It look a lot like if you were standing in the amusement park and were facing the south end, where the Lego store is. The top floor at MOA has a movie theatre, and the other floors are laid out like in the picture. The stairs are in the wrong place, but otherwise it's very similar. I had to do a double take when I first saw your picture. Ok, I see... I've been to the MOA a bunch of times but I guess I didn't really think of it from that angle. So many malls have many levels like that out here in Asia! They all start to look a bit the same.